« [Blog Post] What’s knockout.js? And First Example! In previous post, we talked about Knockout.js. Today, we are going to deal with how to change current URL without reflesh the page. Actually, a lot of companies are using this operation which are facebook, wordpress, translate.google, and other web sites which uses single page application or kind of single page web sites. For example, In facebook, while you take a look the pictures of one of your friends or/and pages you likes, you can see what’s happening on the URL after you change another picture. Another, WordPress blogs, also mine’s, have a good paging. This paging brings the rest of pages one by one through scrolling instead of clicking the next or previous button. 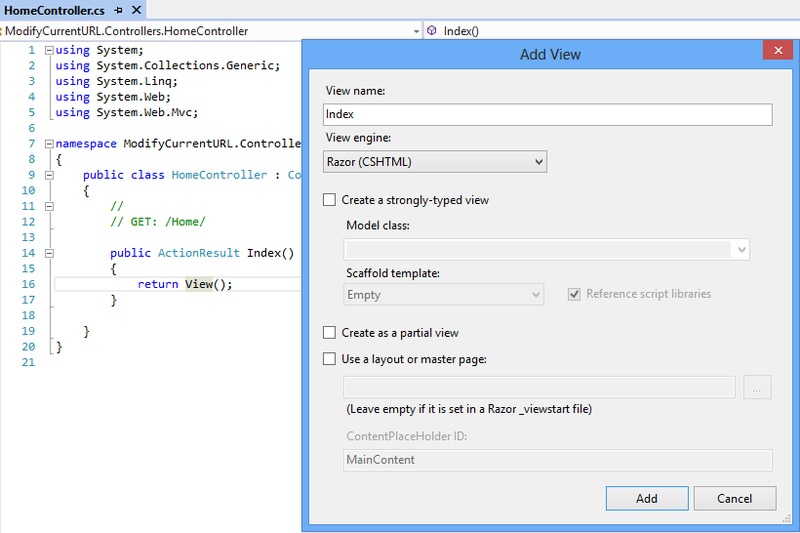 Morever, generally, A single Page Application(SPA) comprises only one page! So that, there is not any changing on the URL until you change it. Enough talking, Let’s write some code! Fistly, these kind of URLs are not user friendly. 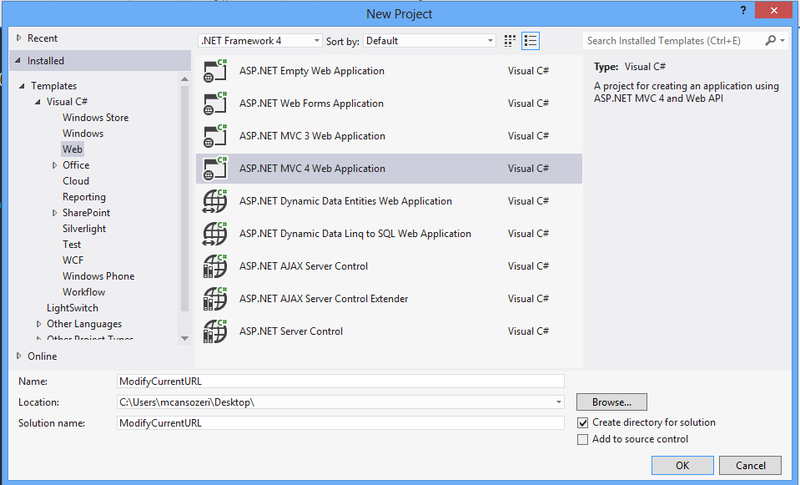 Also, if you use ASP.NET MVC like this sample, you should create a route for perfect match. 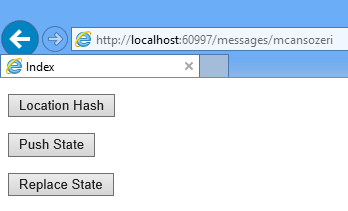 Otherwise, you may in trouble 😀 On the other hand, “window.location.hash” works all major browsers even IE6+. And then, click the “Push State Button” more than two times. Setting window.location does not keep you at the same page. 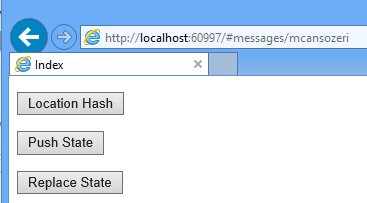 window.location does if you modify only the hash. You can create a new history entry with pushState(), even if the new URL different from the old URL. history.replaceState() works exatcly like history.pushState() except that the replaceState() modifies the current history instead of creating a new history. 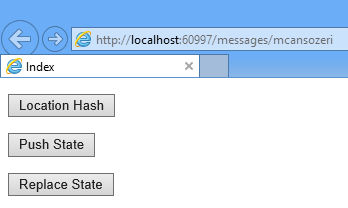 window.location.hash can operates by all major browsers FF, Chrome, Safari, Opera, IE6+ as well. But history.replaceState() and history.pushState() are a property of HTML 5 so that you can not work it on from IE6 to IE9. It only works major browsers which are Chrome 5+, FF4+, IE10, Opera 11.50, Safari 5.0. 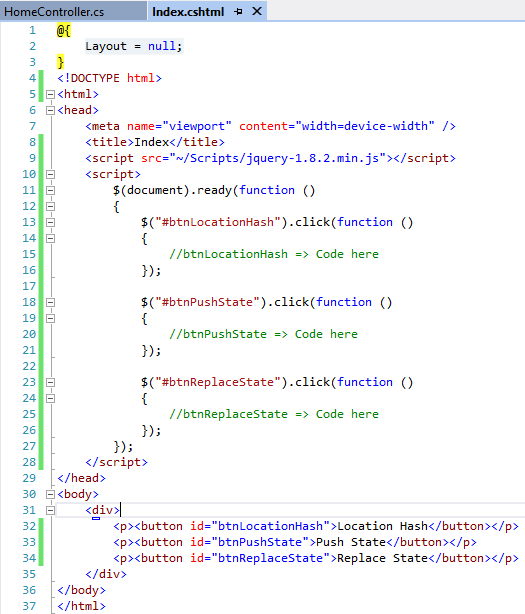 You benefit from this properties(pushState, replaceState) using history.js. this works only with MVC? 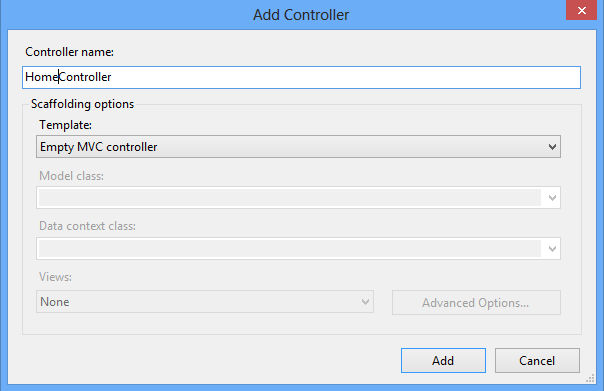 anyway we can implement this in a regular framework asp.net? What happens if the page is refreshed? How do you fix the route config error? I’s not going to change when the page is refleshed. What kind of route config error you mean? Could you send a sample? It’s very useful and simple!